Land Rover has introduced another model, fourth to be precise, under the iconic Range Rover badge – Velar. The Range Rover Velar comes to fill in the gap between Ranger Rover Sport and Evoque in terms of size. 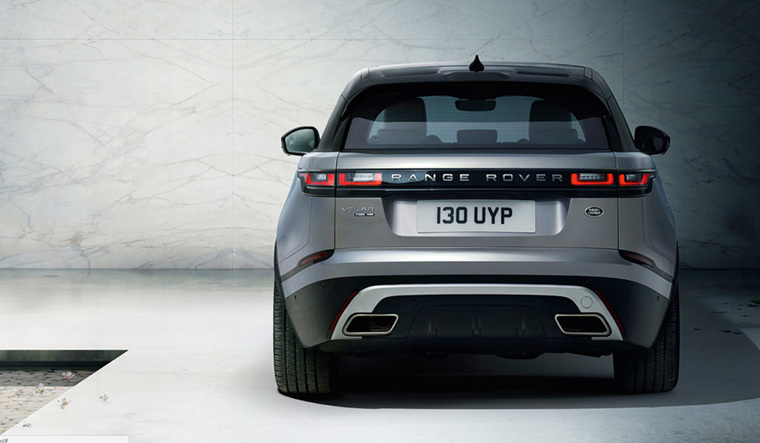 Now, we know when the Sport came to fill the gap between the model topping Ranger Rover and the Evoque. But Land Rover thought there is more space than needed between the Sport and Evoque, hence the Velar. And we are happy about that decision because Velar is one the sexiest looking SUVs in the market now and being a Land Rover, it is equipped with tools too. So is the Velar worth enough to be a Range Rover? The Velar is based on the Jaguar F-Pace platform but has been designed well enough to have its own identity. Unlike its bigger brothers, RR Vogue and RR Sport that have a boxier design, Velar is more sleek in its profile. The car gets its name from the prototype for the first ever Range Rover that was built in 1969. 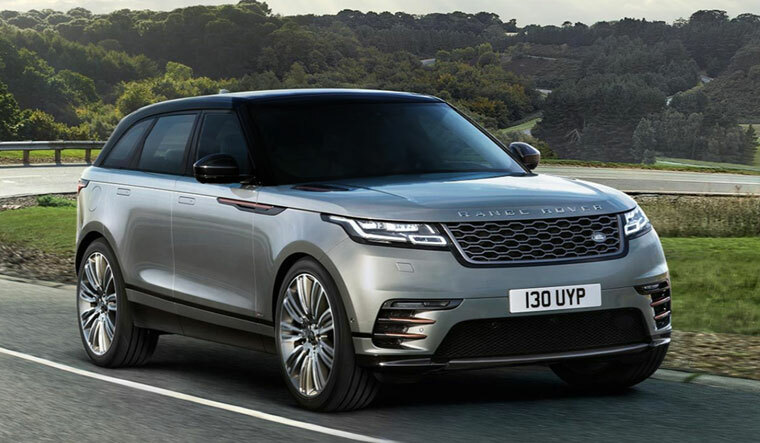 The company wanted to keep the development a closely guarded secret and gave it the name “Velar”, derived from Italian word ‘velare’ which means veil or cover. From the front, everything sits flush despite of some attractive elements. The signature LED headlamps are worthy of drool and then there’s the grille, bumper and the hood that are neatly integrated without standing out. To the side, the Velar looks fast even at standstill with a rising beltline and a swooping down roof. Everything is clean to keep the styling non-intrusive. Even the door handles pop out only when needed and otherwise blend with the body. At the rear, quad LED tail light finishes off in great style. Hop inside and be wowed again. The cabin of Velar is certainly a special place to be. A twin-screen Touch Pro Duo infotainment system forms the centrepiece of the dashboard and that is what makes the interior more special. The top screen offers controls for music, navigation, communication and more while the lower screen displays the climate control with two knobs that have their own displays in them. The climate control screen and the dials can toggle between AC, heating function and massage function for seats, changing the graphics too, which look awesome. The screens, with their edgeless frame and HD resolution, don’t just look great but have intuitive interface too. The instrument cluster too is an all-digital affair and there’s also a heads up display to help you keep the attention on the road ahead. Dashboard and the doors get a mix of wood and leather of top quality and texture. Seating position for the driver has good height and the view ahead is great. While the front seats offer good all-round support, at the rear, there is a great deal of legroom for two but the middle passenger could find it a bit uncomfortable. The rear seats' backrest can be reclined electrically to up the comfort quotient. Boot space, while not class leading, is enough for your luggage needs most of the time. Though it is loaded with hi-tech features, losing out on Android Auto and Apple CarPlay support is unforgivable. You do get the option of a Smartphone pack that, with the help of InControl apps, lets you make screensharing of your phone. Land Rover is offering the Velar with a choice of three engines – a 2.0 litre 4-cylinder diesel, a 2.0 litre 4-cylinder petrol and a 3.0 litre V6 diesel. The engine in topic here is the 2.0-litre petrol unit that is available in two tunes – 250 PS and 300 PS. Velar is the first car to get this petrol engine in India and will be offered in other cars in the JLR family soon. All the engines get an eight-speed automatic transmission as standard and so are paddle shifts. The petrol unit is very refined, after the slight initial clatter. In its 250 PS tune, the Velar makes a maximum torque of 365 Nm that helps the car quick off the line with a strong low end grunt. From there, the engine builds the power in a strong and linear fashion. Gear changes are quick and using the paddle shifts makes the going easier and sportier. Setting speed records are not among the objectives of Velar and it wants to caress you with its speed and performance. But it’s not a slouch either with 0 to 100 km/h coming in 6.7 seconds with a top speed of 217 km/h. Suspension comes in the form of all-independent suspension setup with double wishbone in the front and multi-link at the rear. The air suspension is only available in the V6 variants. 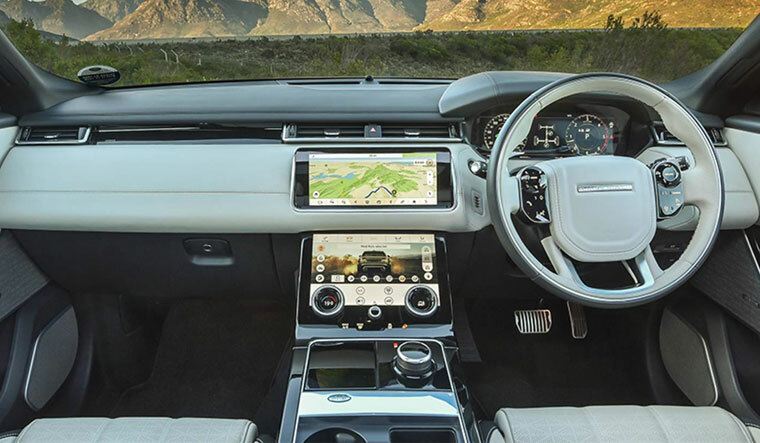 The ride quality is not as great as the Range Rover Sport but the Velar will take you around comfortably over bad roads and pot holes. If you are driving and want a sportier output, putting to Dynamic will help you control the body roll but get ready to feel the stiffness. Being a Land Rover, having off-road capabilities is a given. Velar doesn’t disappoint with its 251 mm ground clearance, 600 mm water wading depth, Land Rover Terrain Response System, Active Rear Locking Differential, Hill Descent Control and Low Traction Launch. Using these systems, Velar takes the off-road with ease and proves to be capable of Land Rover badge. As we had stated earlier, the Velar looks extremely good both inside and out. Instead of just making a car that is smaller than the Sport and bigger than the Evoque, the Velar has much more going for it. From the futuristic cabin to the refined performance, Velar will make sure your decision to buy one is well spent.